design and construction of giant observation wheels and structures. Starneth is an engineering company specialized in the design and construction of Giant Observation Wheels and Structures. The Starneth team is made up of the people behind the design and construction of the highly successful London Eye. Several members of the former London Eye engineering, construction and erection team are permanent members in the company; while others are long-term, strategic partners working with Starneth when required. With this experienced team Starneth possesses the unique capability to offer a Giant Observation Wheel on a lump sum, turnkey basis. We know of no other company able to offer this advantage and the expertise to minimize risk, cost and schedule resulting in a financeable project. Starneth offers standard designs (SN series) as shown in the website or special purpose designs to suit the specific requirements of the client or location. With a Starneth design your project will become iconic and offer guests an elegant, memorable experience. If your project will benefit from an Iconic Giant Observation Wheel or Structure, Starneth is ready to become part of your team. "Construction is expected to begin in early 2014 on the privately financed project, which also includes a 100-shop outlet mall and a 200-room hotel. The grand opening could come by the end of 2015." " New York's Mayor Michael Bloomberg said the proposal was 'a once-in-a-generation opportunity for economic development.' The authorities hope that it will rejuvenate the entire island and there are also plans for a 420,000 square foot retail complex with up to 75 designer outlets. There will be a 120,000 square foot hotel too meaning that the more adventurous can stay overnight on the island." "The 625-foot-tall, $230 million New York Wheel is to grace a spot in Staten Island overlooking the 305-foot-tall Statue of Liberty and the downtown Manhattan skyline, offering a singular view as it sweeps higher than other big wheels like the Singapore Flyer, the London Eye and a "High Roller" planned for Las Vegas." "The Dubai Eye will distinctively dominate the Dubai skyline, This project will continue to build on the emirate's reputation as a leader in the global entertainment and retail landscape." 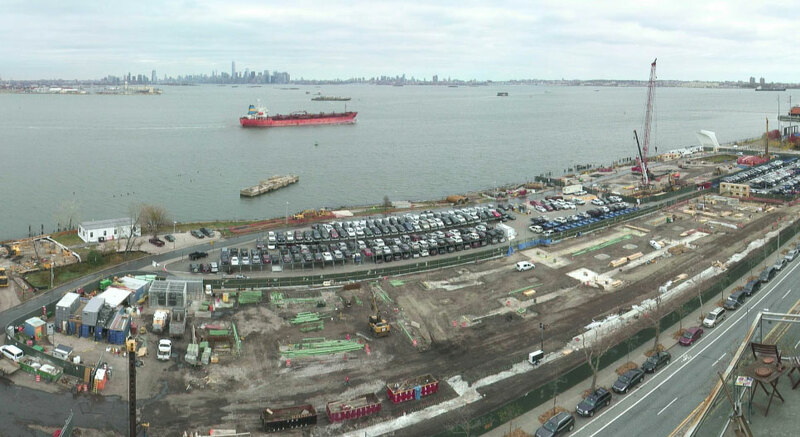 Mayor Bloomberg Unveils Plans to Build World's Tallest Ferris Wheel and New Retail Complex on Staten Island's North Shore. impressive landmark in the land of architectural marvels. Winter Park, FL 32790 USA.